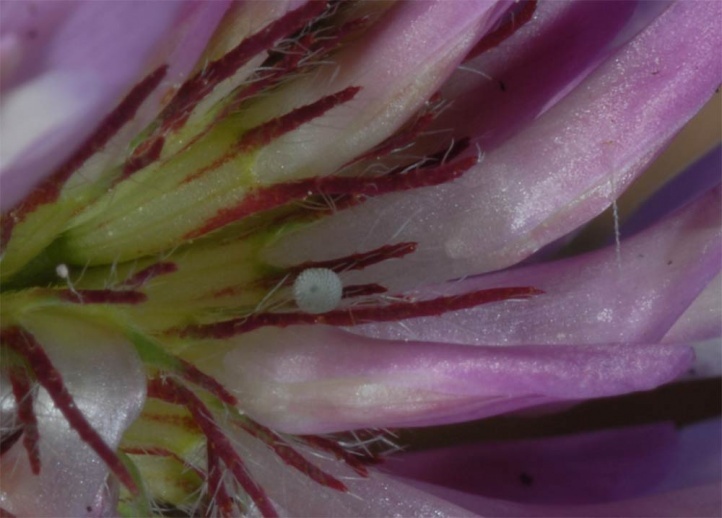 The eggs are deposited mostly on Trifolium species like Trifolium medium, T. pratense or T. ochroleucon. 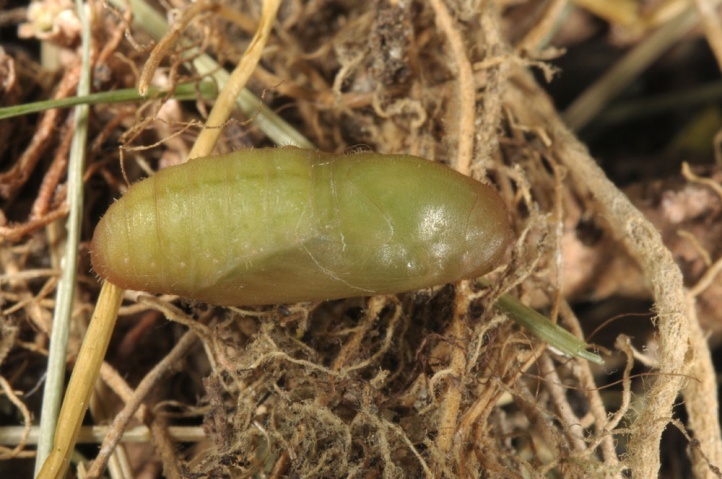 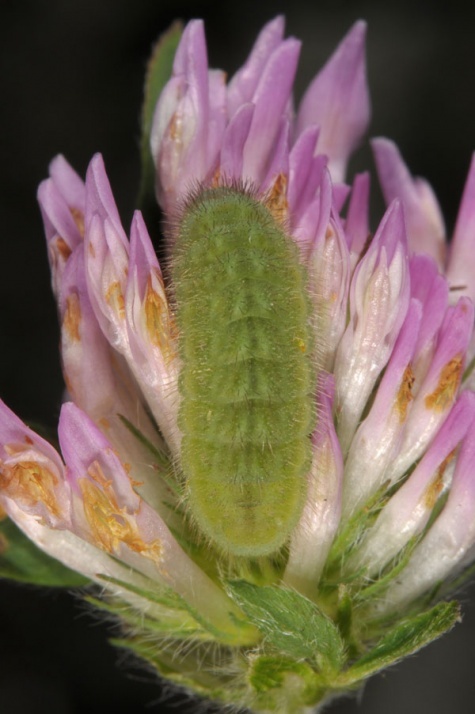 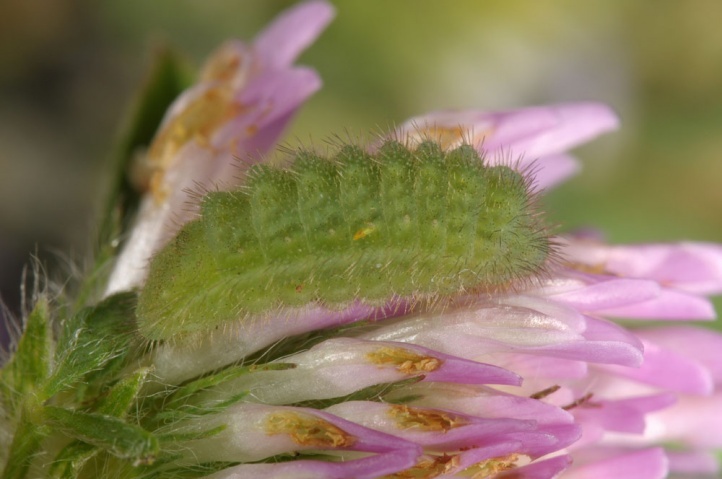 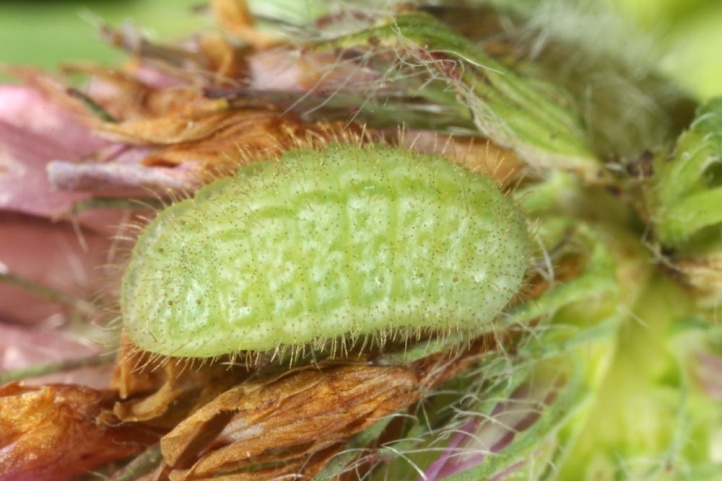 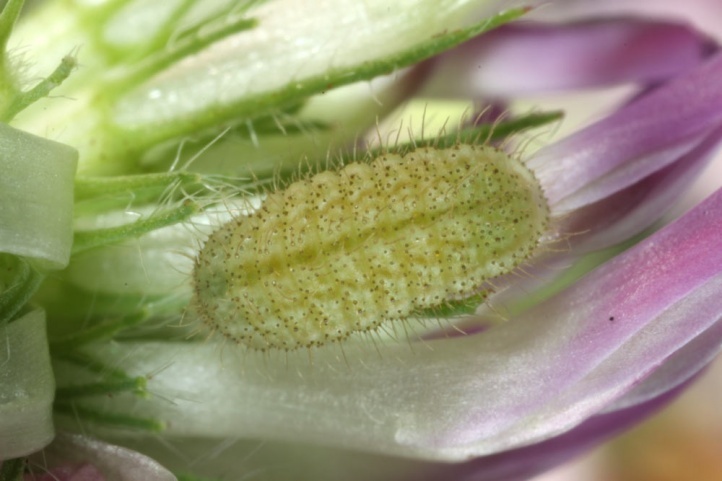 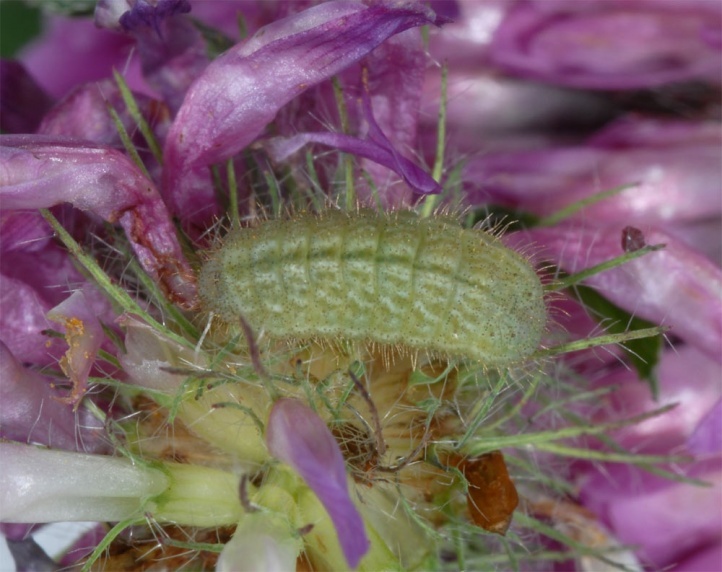 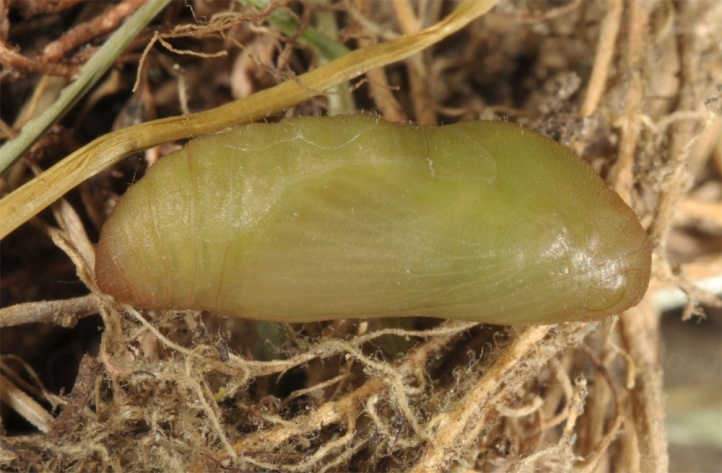 Additionally, I observed oviposition also on Onobrychis viciifolia (eastern Swabian Alb) and larvae and ovipositions on Oxytropis campestris (Switzerland, Valais and Upper Ticino). 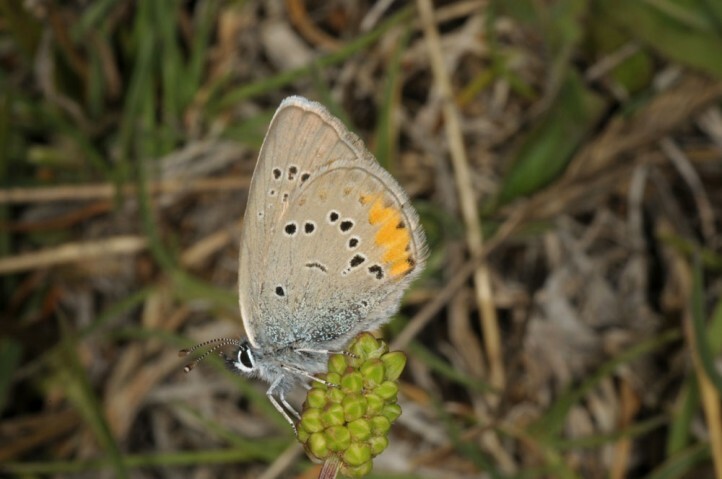 Probably the species lives also on further Oxytropis and Astragalus species. 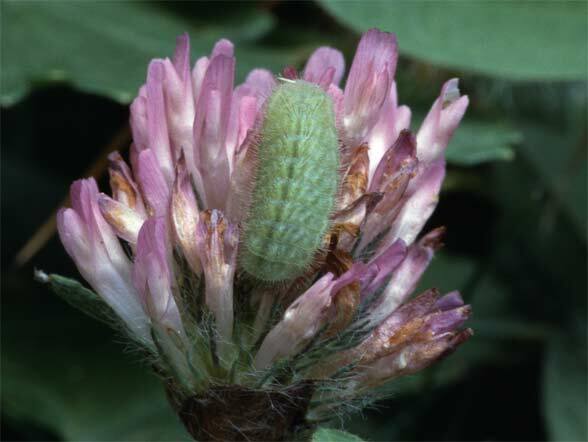 In areas where Armeria (Plumbaginaceae) occurs (e.g. 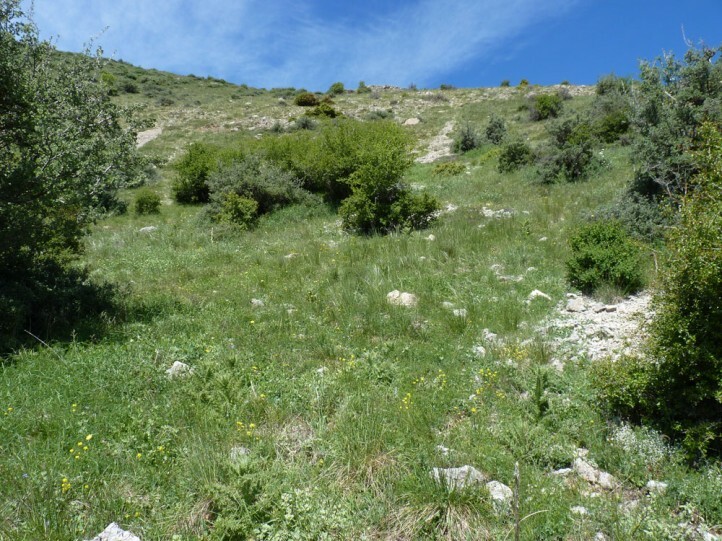 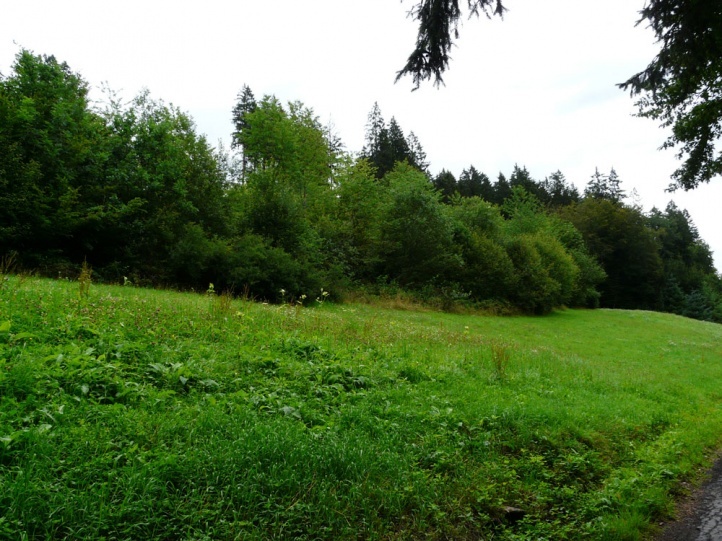 near coasts or on mountains), these plants are also used as hosts. 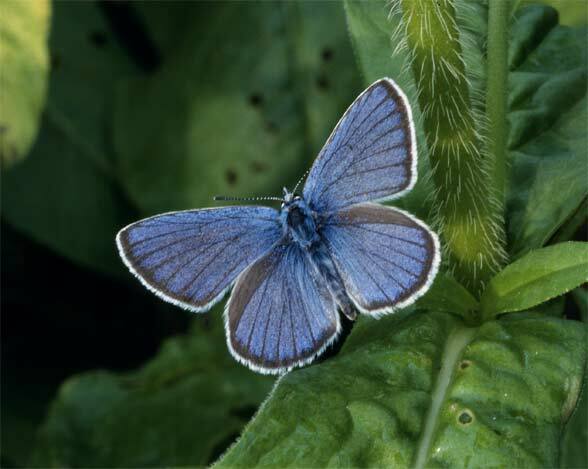 Polyommatus semiargus inhabits extensively managed grasslands, larger woodland clearings, fens, pastures and mountain meadows. 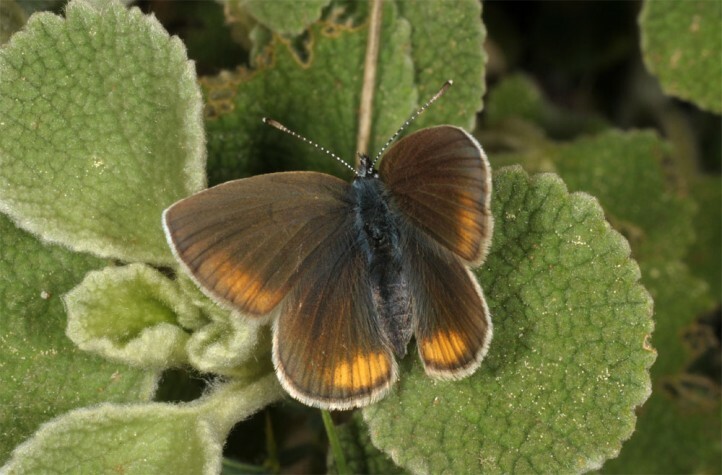 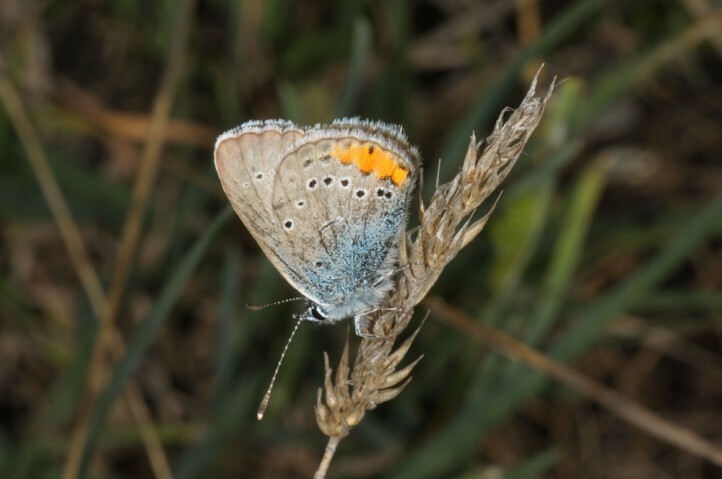 The butterfly is mainly oriented to fresher stocks (Cynosurion) in dry calcareous grasslands. 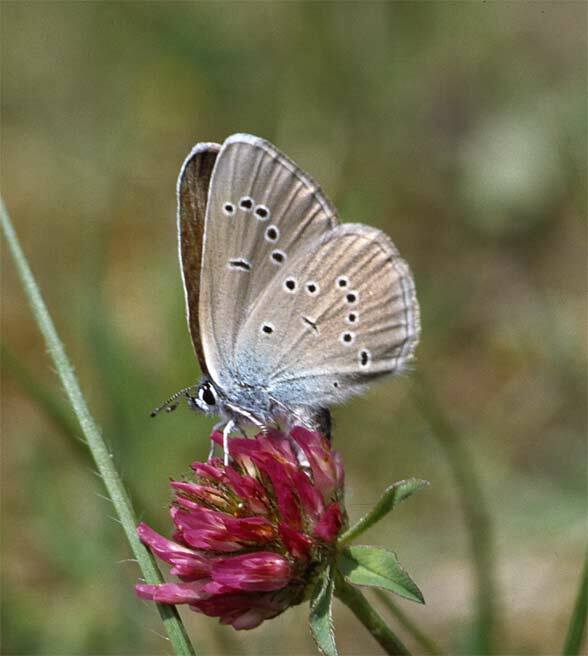 Polyommatus semiargus formerly also occurred in the nowadays almost vanished flowery-rich, twice cut agricultural meadows, which are now degenerated into manure fields with up to 8-times mowing or into corn fields. 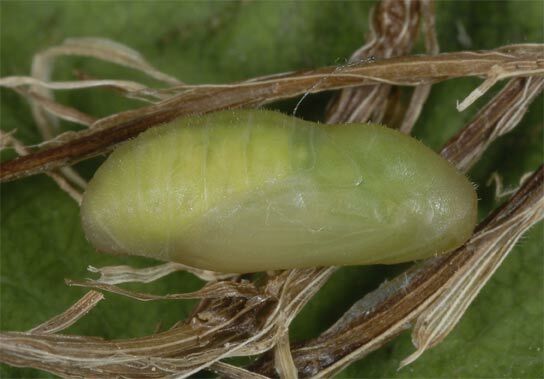 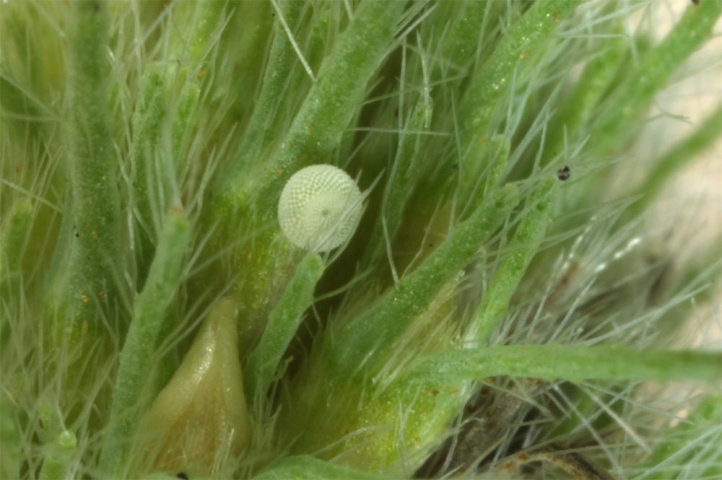 The eggs are laid on mostly young flowers, where the caterpillar feeds. 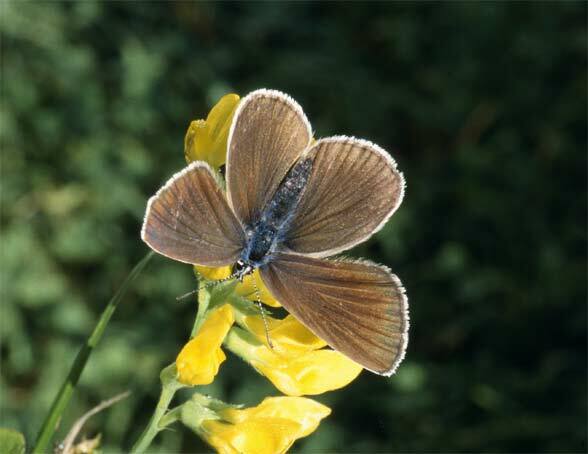 Polyommatus semiargus overwinters as a half-grown caterpillar and flies in two to rarely three generations from May to September. 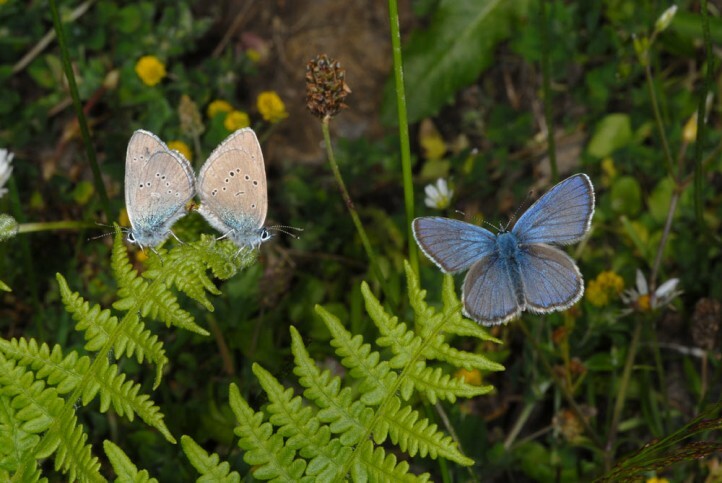 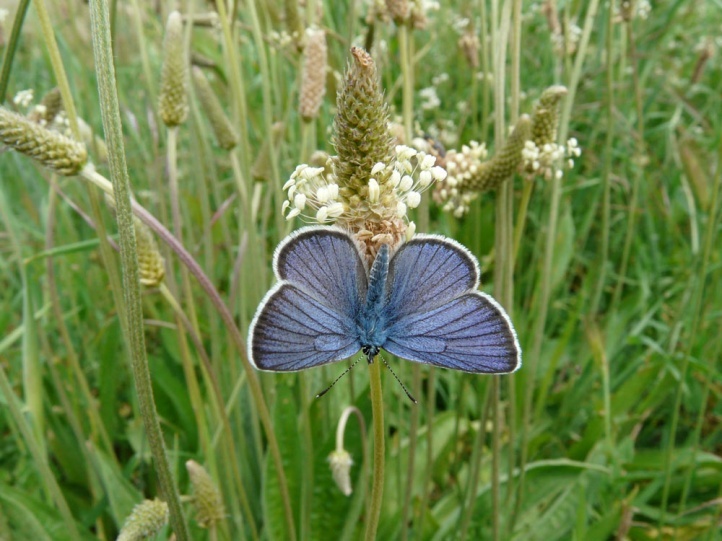 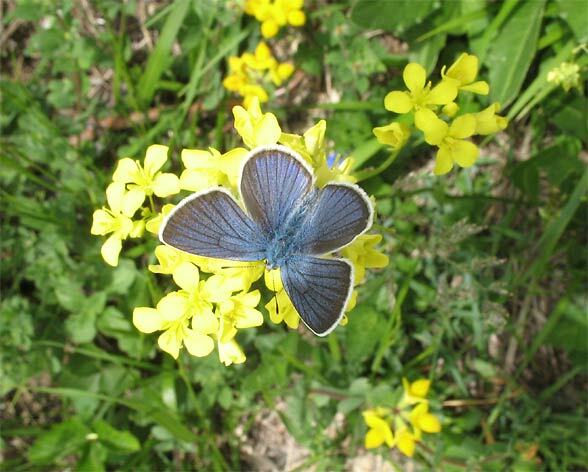 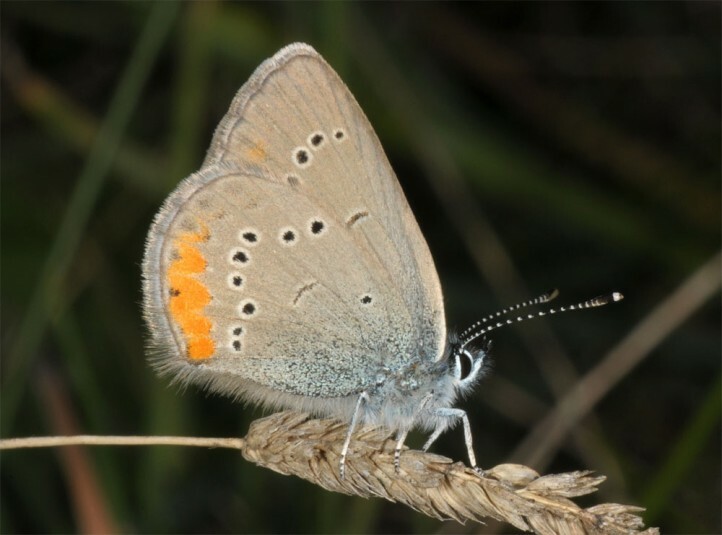 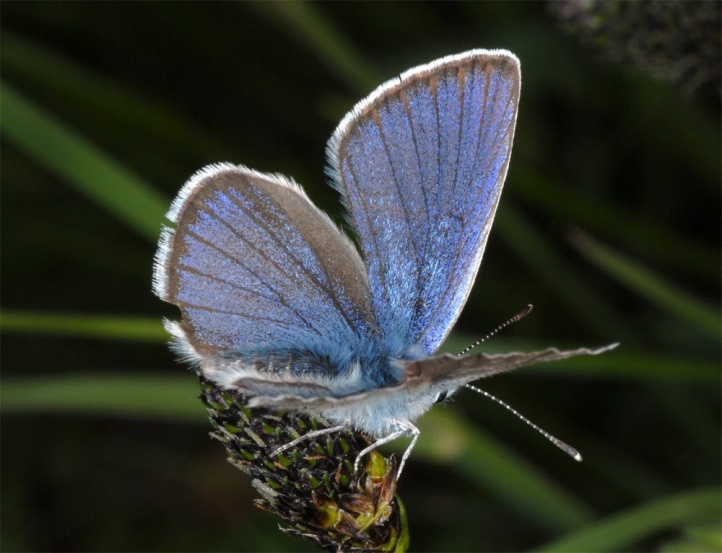 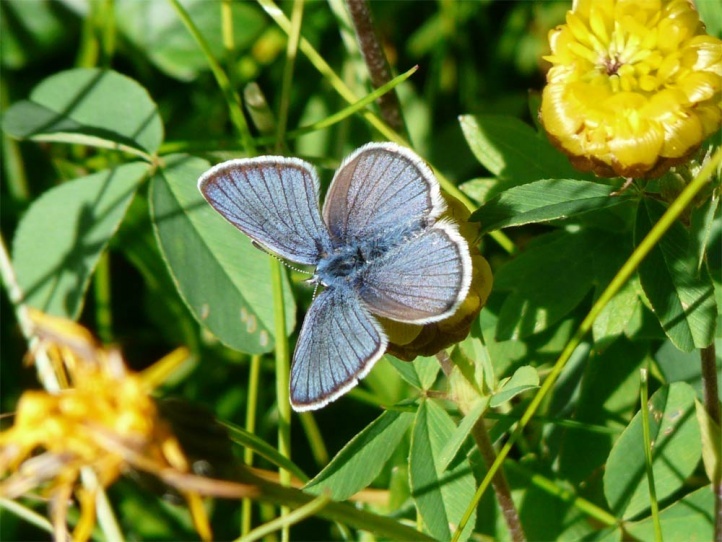 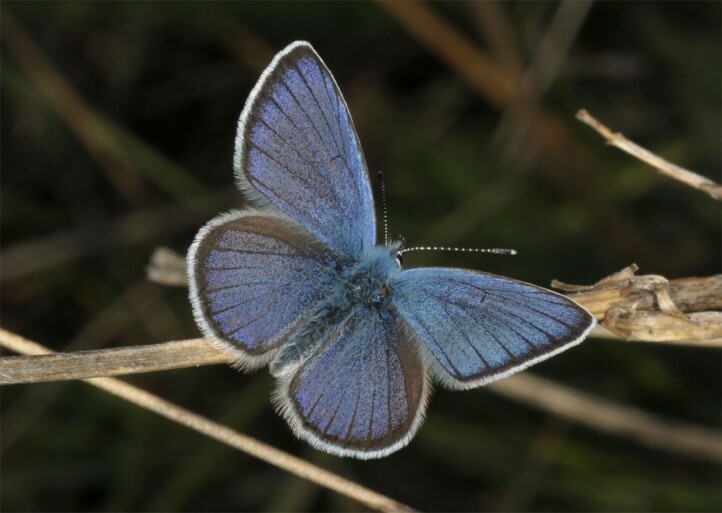 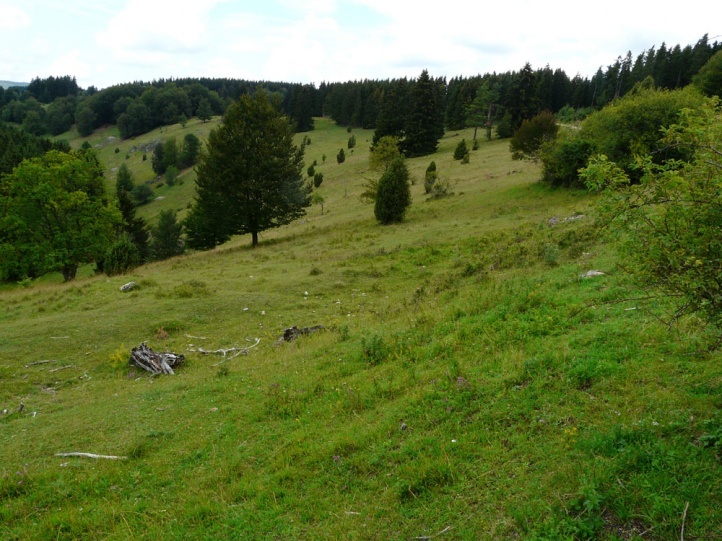 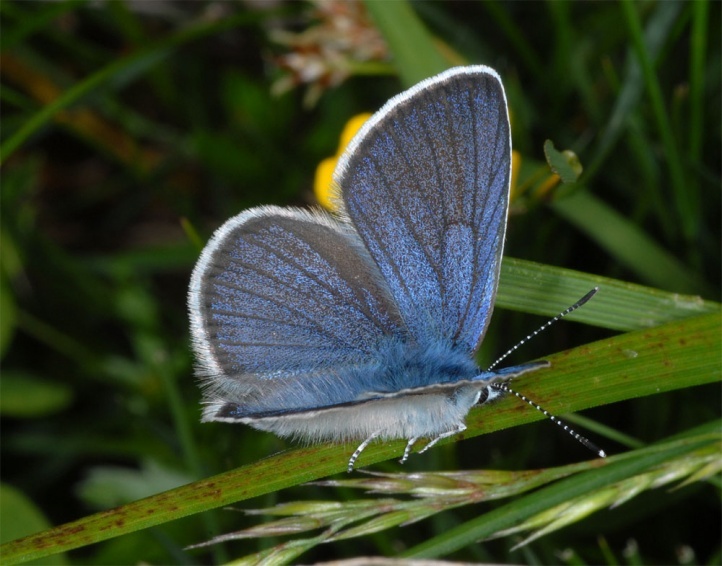 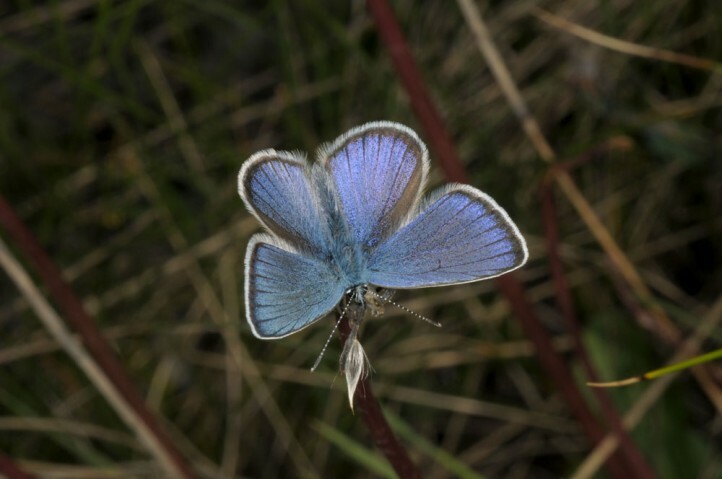 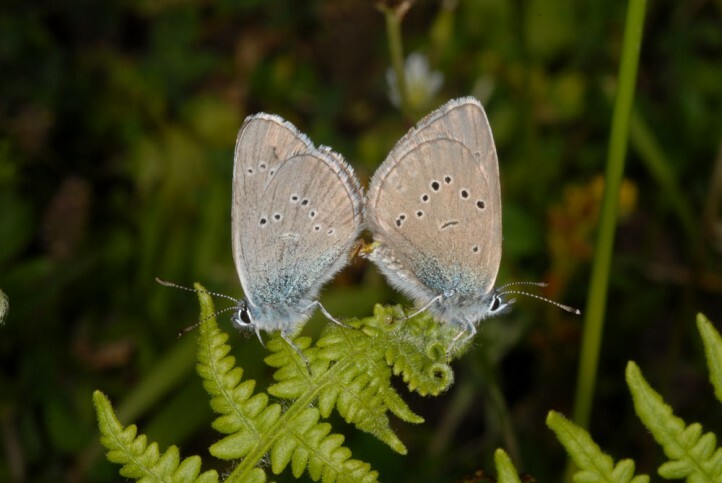 At higher altitudes, where Polyommatus semiargus is ubiquitous in the Alps up to 2000m above sea level, there is only a single generation in the summer. 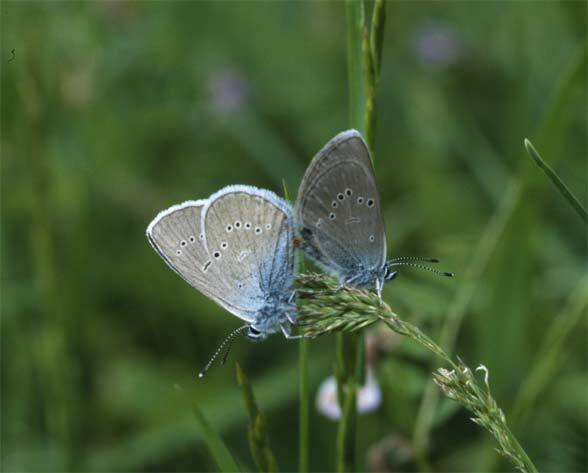 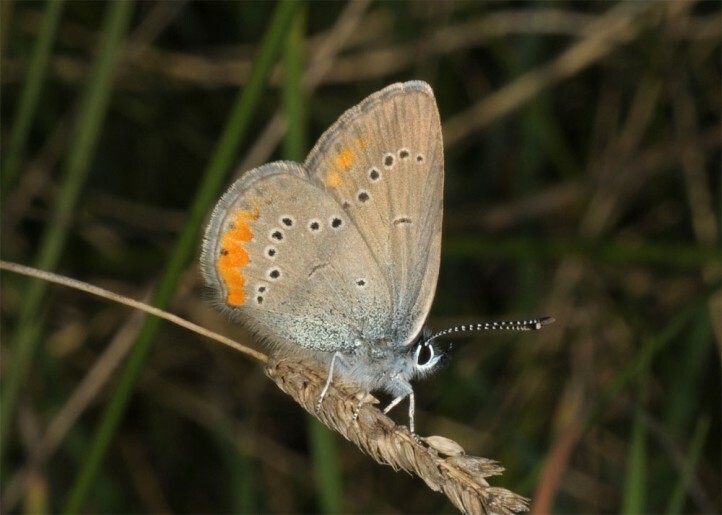 In the lowlands, Polyommatus semiargus declined significantly due to manure fertilization and conversion into corn fields. 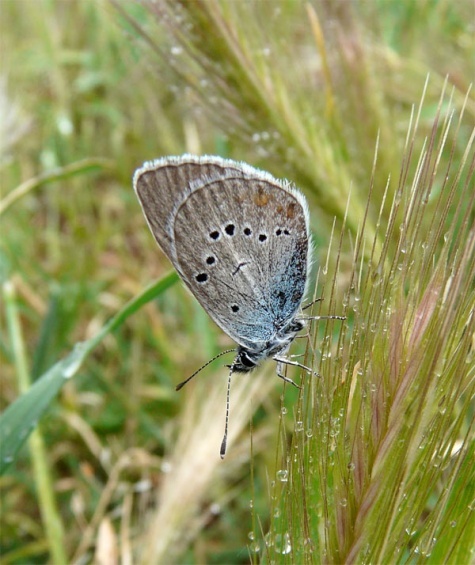 Polyommatus semiargus is still more common in areas with still more nutrient-poor grasslands as the Swabian Alb. 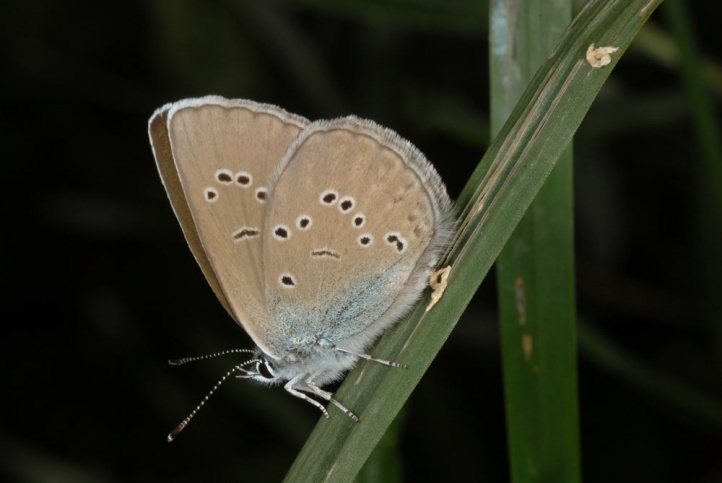 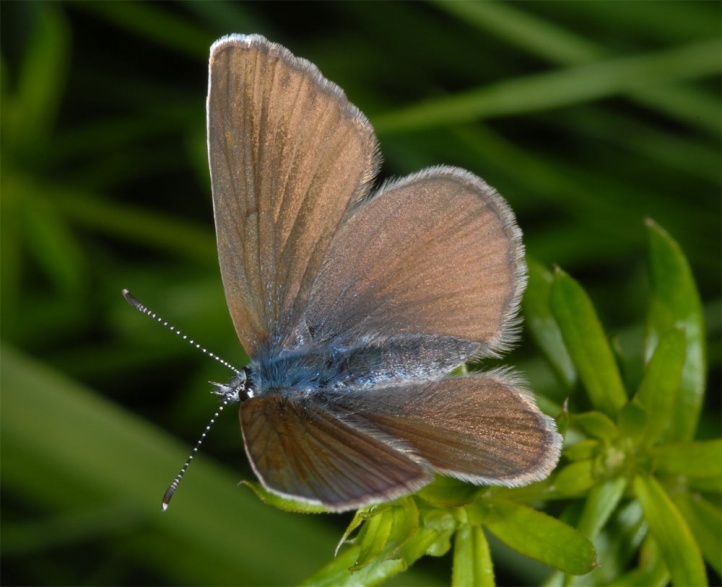 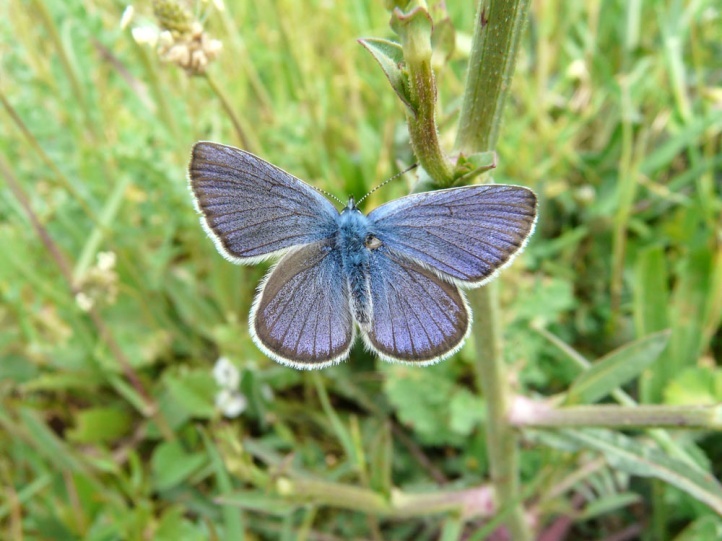 Polyommatus semiargus occurs from Morocco across much of Europe and temperate Asia to China.